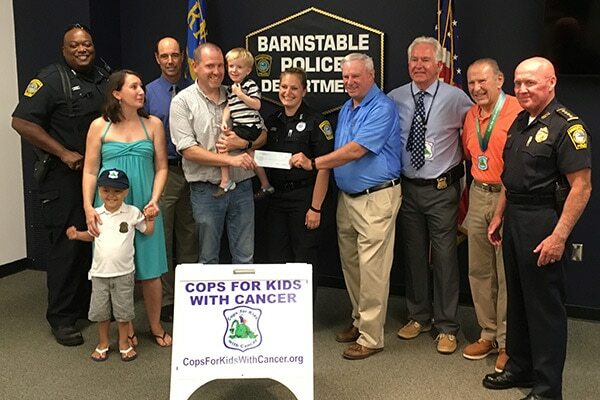 On July 21, 2017 Cops for kids with cancer made a donation to the Shrauger family. Present for the donation , Barnstable Police Officer Brian Morrison, Officer Danielle St Pierre, Chief Paul MacDonald. Isaac’s parents Sarah, Mark and brother Elijah. Isaac Age 3 years. Cops for kids with cancer members on hand to make the donation were, Mike Drummy, Mike Weir , Paul Ivens and Dr. Robert Stacks.